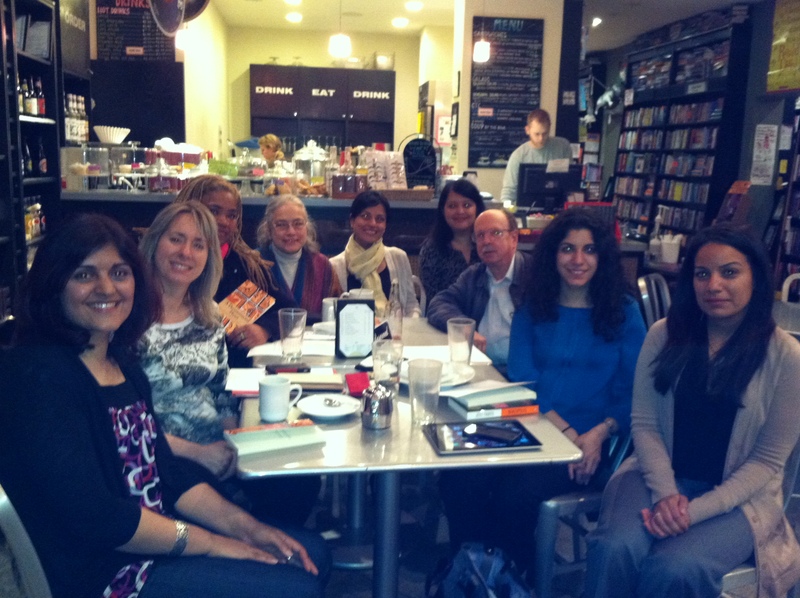 Last night, I had the honor of joining the Chicago chapter of the DesiLit Book Club to discuss A Deconstructed Heart. It is an insightful group that meets monthly at the Book Cellar in Lincoln Square, Chicago, to discuss literature by Desi authors from the diaspora. There was plenty of insight, fair criticism and kind praise of my book and I felt that the experience provided the checks and balances that are so valuable to an author. It is a privilege to have your work fairly dissected by an informed group of readers, and a gift to listen as they share their connections to your writing. I look forward to the opportunity to meet this engaging group of readers again. If you live in the Chicago area and love the work of South Asian writers from across the world, do drop into the most charming book store imaginable, the Book Cellar, when the DesiLit Book Club meets. To find their schedule, click here. If you don’t live close by, you can follow their reading list, and remain informed of what’s happening in the South Asian literary scene. Thanks, Luaunna. I really enjoyed meeting the group; I hope we meet again.